In the second half of this episode Drew, Danny, and Special Guest Elle bring you our 1-Star Movie Review of Golden Needles, a 70’s Hong Kong heist flick with flamethrowers, cobras, and adorable dogs on boats. We also go over the latests installments of Tips from Me Mum; our World Famous Props, Corrections, Additions, and Omissions; and our Picks of the Week. If you have any stories about acupuncture or Chinese medicine we’d love to hear about it and maybe even include it in an After Effects segment of a future episode. Get in touch with us via email at hgppodcast@gmail.com or on Twitter or Instagram @hgppodcast. Don’t forget to subscribe and review us on iTunes. Thanks for listening! This week we go deep — at least three inches — to bring you a prickly new episode of the podcast. Drew and Danny Human Guinea Pig’d acupuncture and Special Guest Elle, our subject matter expert, helped us understand what we experienced. In part two of the episode we review a mobster heist movie about a magical acupuncture statuette. Come and get your Qi right by listening to this episode. Thanks for listening! You can find us on Instagram and Twitter @hgppodcast or you can email us your stories of being poked at hgppodcast@gmail.com. Constipation. Irritability. Cramping. Vomiting. Anxiety. Insomnia. By the time you listen to this episode we may be experiencing one or all of the above. That’s because this week Drew and Danny start to Human Guinea Pig, giving up coffee for a month. We’ll provide updates over the next few episodes. This episode continues with a review of a movie that will also keep you up at night, Kingdom of the Spiders, starring that one guy from those cheap travel ticket commercials and that old science-fiction tv show. Thanks for listening. Please subscribe and rate us on iTunes and check us out on Instagram and Twitter @hgppodcast. In the second half of this episode we bring you our 1-Star Movie Review of White Chicks; Tips from Me Mum; our World Famous Props, Corrections, Additions, and Omissions; and our Picks of the Week. If you have any stories about catfishing or your attempts to find the fountain of youth we’d love to hear about it and maybe even include it in an After Effects segment of a future episode. Get in touch with us via email at hgppodcast@gmail.com or on Twitter or Instagram @hgppodcast. Don’t forget to subscribe and review us on iTunes. Thanks for listening! On this week’s episode what we see is not exactly what we get. Drew dove face first into the fountain of youth when he Human Guinea Pig’d Just for Men, facial hair dye. He recounts his experience with Danny and a returning special guest. In the second half of the episode the guys review a farcical comedy about two brothers trying to be someone they aren’t. Thanks for listening! You can subscribe and rate us on iTunes and get in touch with us on Twitter and Instagram @hgppodcast. Nicholas Cage won an Oscar for Best Actor, Tom Sizemore has been in hits like Saving Private Ryan, Mario Van Peebles directed New Jack City, yet somehow they all came together to make this episode’s 1-Star Movie Review. Join us as we continue Episode 25 by reviewing U.S.S. Indianapolis: Men of Courage then bring you Tips from Me Mum, our World Famous Props, Corrections, Additions, and Omissions, and our POWs (picks of the week). 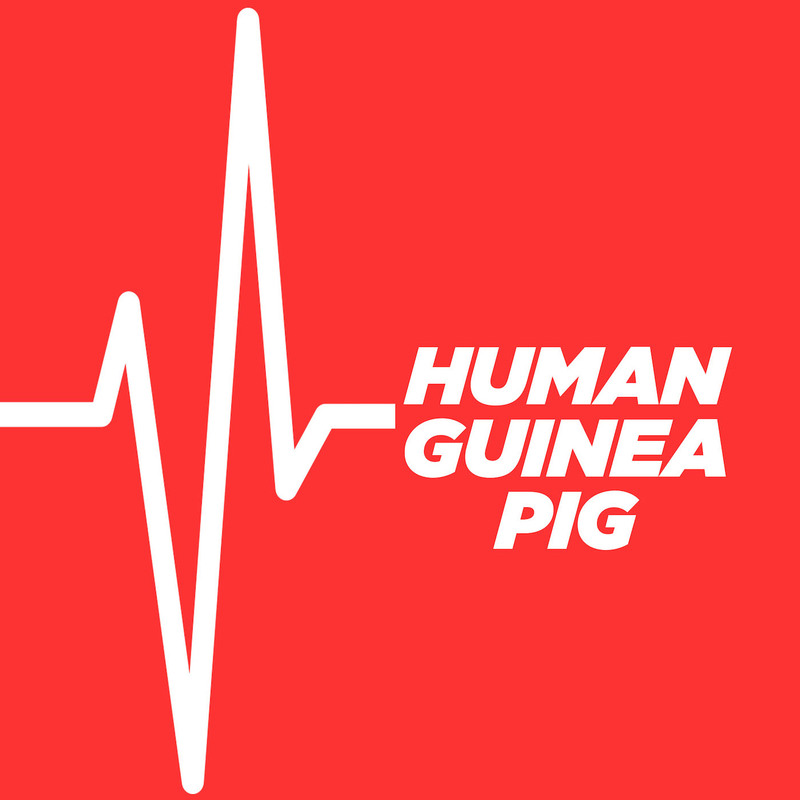 Email us show ideas or your own Human Guinea Pig experiences at HGPPodcast@gmail.com or send them to us on Twitter and Instagram @hgppodcast. This week we venture into a mysterious land that attracts fast cars, alien trees, and the country’s finest saxophonists. On this episode Drew Human Guinea Pig’d a weekend in Indianapolis and came back with tales that he shared with Danny, Chico, and special guest Chad, a native Hoosier. In the second half we review a movie about a different Indianapolis starring big-name actors, made by a well-known director, about a World War II tragedy, that somehow ends up being less interesting than the city. Thanks for listening. Please subscribe and rate us on iTunes. You can also find us on Instagram and Twitter @hgppodcast. If the HGP Challenge in part 1 didn’t make you squeamish (quick recap, we ate animal testicles) then you’ll want to stay tuned for our 1-Star Movie Review in part 2. We discuss Blood Diner, a campy horror movie from 80’s where just about every other body part is on the menu. We also bring you our World Famous Props, Corrections, Additions, and Omissions, and our POW (pick of the week). Thank you all for listening. Come find us on Instagram and Twitter @hgppodcast. Happy Birthday to us! It’s our one-year anniversary and this week we go balls out to bring you an ancient Roman experience that today is practiced from the prairies of Western Canada to the Wild West of the U.S. In the ultimate test of the saying that everything tastes better fried, Danny Human Guinea Pig’d Rocky Mountain Oysters and shared his mouth watering experience with Drew and Chico. Yes, Chico is back! Be sure to come back for the second half of this extravaganza because in part 2 we bring you our 1-Star Movie Review, World Famous Props, Corrections, Additions, and Ommisions, and our POW. Thanks for listening. As always, you can find us on Twitter and Instagram @hgppodcast. In the second half of this episode Drew and Danny review Manos: Hands of Fate; present the World Famous Props, Corrections, Omissions, and Additions; and give you their POW (pick of the week). Stay tuned as next episode we bring you Human Guinea Pig Podcast’s one-year anniversary episode! Thank you for listening and your continued support. Stay in touch by visiting us on Twitter and Instagram @hgppodcast.